If you are considering mods from another company, ask if they provide proof of the improvement their work brings. Many modification services change perfectly good components for branded equivalents, and the basic circuit performance remains the same. That isn't the case here and BehringerMods are proud to show the results of our work. The measurements below were made with the Rohde & Schwarz UPV, a state of the art audio analyzer system costing in excess of £20,000 so you can rest assured the results are reliable. Intermodulation distortion is what happens when an audio device is fed more than a single tone at the same time, just as happens with real music. The two signals interact with each other creating numerous new tones either side of the original pair that are desired.This is the primary area the modified analog outputs are improved and it can be seen that IMD side-bands are almost non-exisitant. 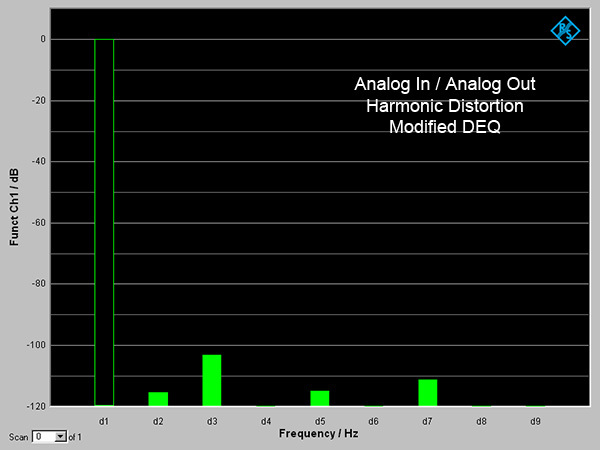 Harmonic distortion is the more standard measurement that uses a single input tone to observe the harmonic products. 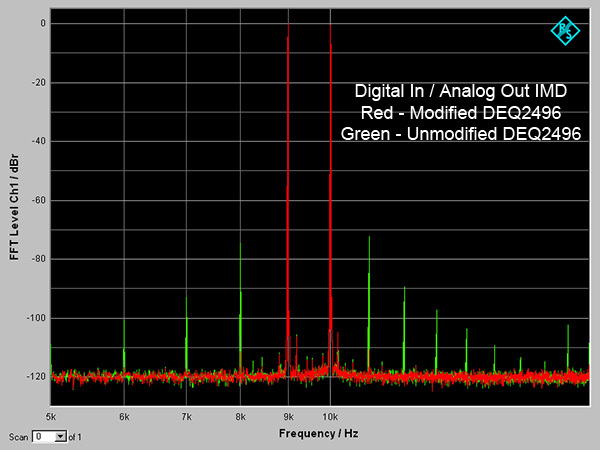 The original DEQ has THD og -90dB while the modified unit produces only -105dB - a healthy 15dB imporvement. 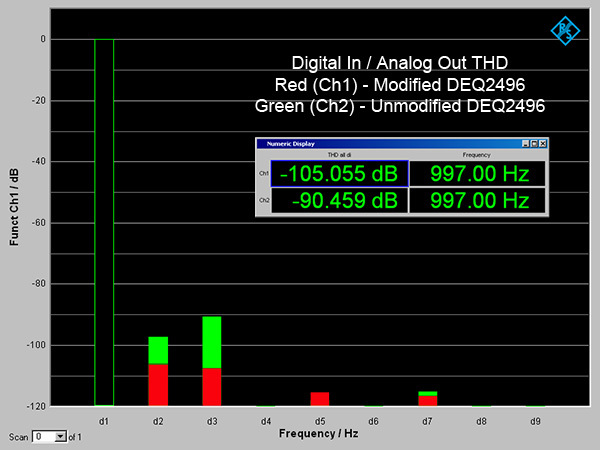 The graph below shows the same measurment using the analog inputs and analog outputs together. 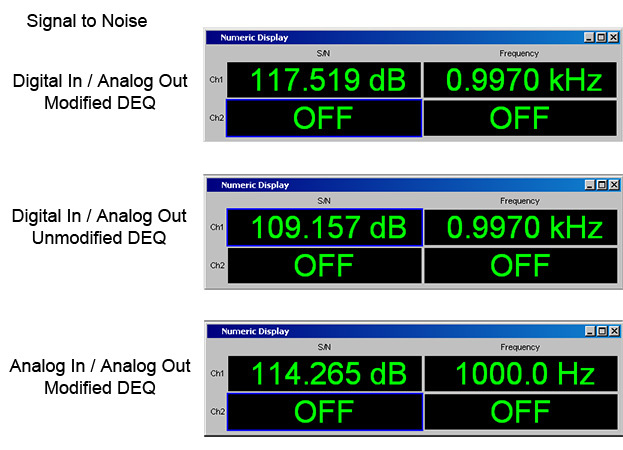 The original DEQ was not tested in this way for comparison. Signal to noise is self explanitory really - the intrinsic noise of the equipment is comapred to the maximum signal level. Using the DEQ as a DAC the 117dB S/N figure is really first-rate and even the best equipment money can buy will barely imporve on this.